Above please select the model of your Volkswagen 2001 to view our extensive list of OEM Volkswagen parts engineered specifically for your Volkswagen model. Every single parts and accessory found in our Volkswagen catalog was designed to precise Volkswagen factory specifications, so you don’t ever have to worry about fitment issues. Whether you're driving across town or across the country, you get the peace of mind knowing that Genuine VW auto parts are backed by a nation-wide warranty covered at any Volkswagen dealer in the country. 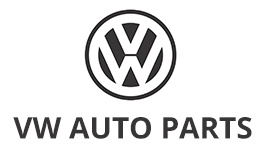 If for any reason you are not sure of which Volkswagen 2001 parts to order, please use the "Contact parts dept" tab for assistance and we will be happy to help you.